Vitra Miniature Rood Blauwe chaise, Rietveld: Gerrit Rietveld conceived of each piece of furniture as an ideal, abstract composition of surfaces and lines in space. 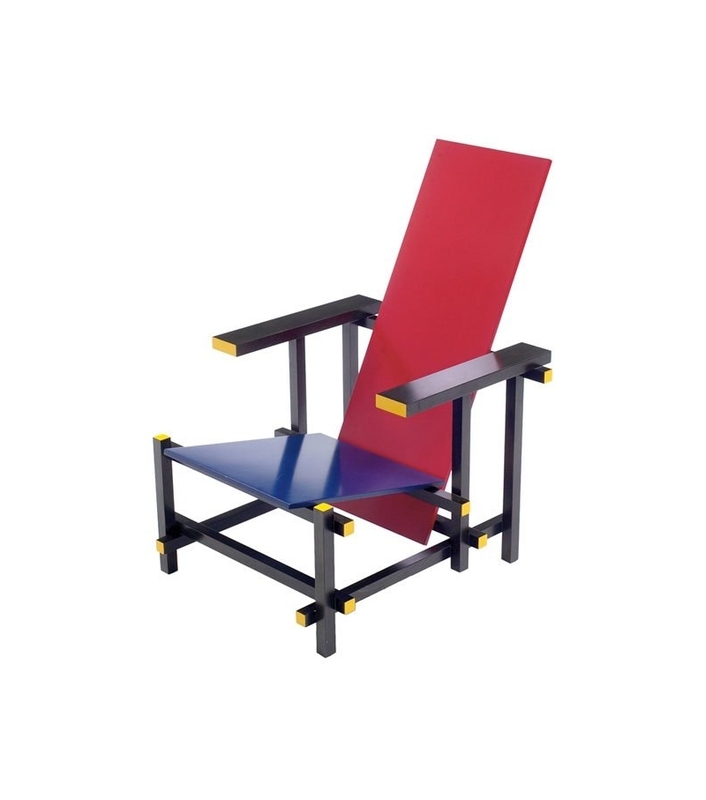 Where Mondrian took landscapes as his model, Rietveld focused on the concept of a traditional, massive armchair, which he transformed into a geometric entity. 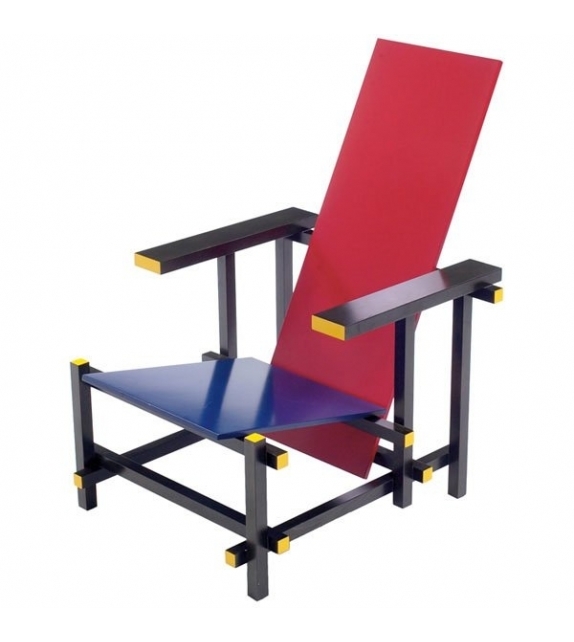 Vitra Miniature Rood Blauwe chaise, Rietveld: Gerrit Rietveld conceived of each piece of furniture as an ideal, abstract composition of surfaces and lines in space. The rigor with which he put this into practice makes »Roodblauwe stoel« a key object in modern furniture design. The form of abstraction Rietveld adopts here bears comparison to painter Piet Mondrian. Mondrian, and later Rietveld, were among the artists and architects who grouped around Theo van Doesburg and his journal »De Stijl«, and whose radical concepts had a lasting impact on twentieth-century art. Rietveld reduced given realities to their linear and surface characteristics. 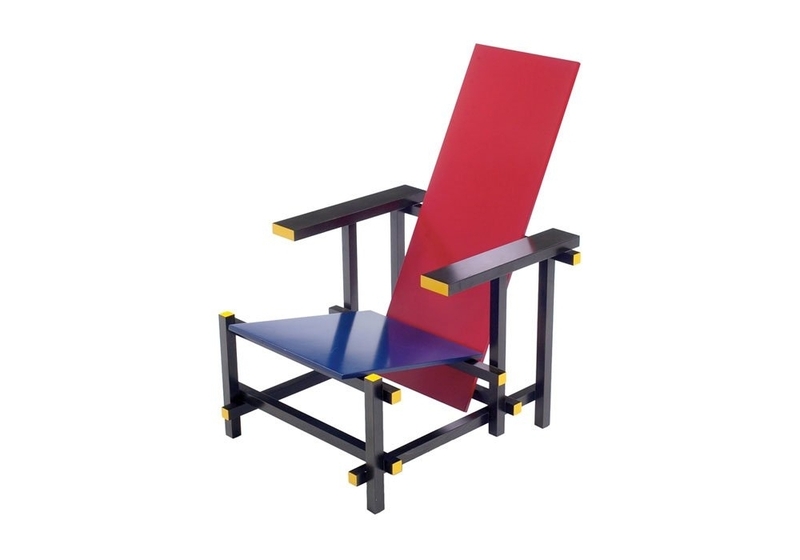 Where Mondrian took landscapes as his model, Rietveld focused on the concept of a traditional, massive armchair, which he transformed into a geometric entity. Wood, lacquered. Made in Poland.